Congress spokesperson Priyanka Chaturvedi on Wednesday slammed her own party for reinstating some of its leaders days after they were suspended from the party for unruly behaviour with her. “Deeply saddened that lumpen goons get preference in Congress over those who have given their sweat & blood.” she tweeted. Chaturvedi retweeted a journalist who attached a photo of a Congress notice that talked about how she had recently complained about a few party leaders misbehaving with her. “Having faced brickbats & abuse across the board for the party but yet those who threatened me within the party getting away with not even a rap on their knuckles is unfortunate,” she added. 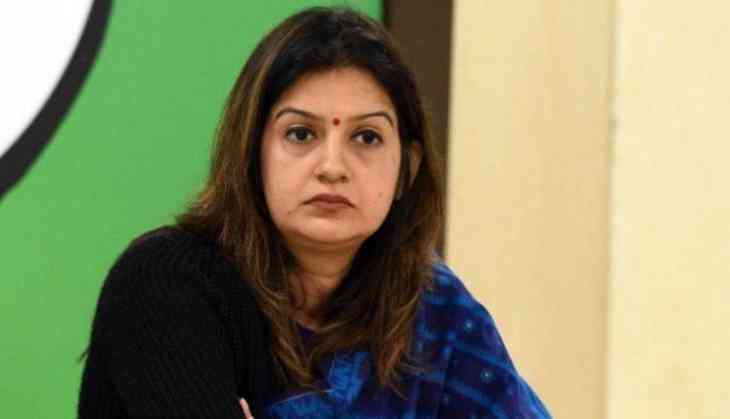 The suspension letter shared on Twitter named eight Congress leaders from Uttar Pradesh who had misbehaved with Priyanka Chaturvedi and were suspended. However, the letter said that the Uttar Pradesh Congress has decided to grant relief to the leaders and reinstate them in consultation with Uttar Pradesh General Secretary Jyotiraditya Scindia. According to the letter, the Congress leaders misbehaved with Chaturvedi during a press conference about the Rafale deal in Mathura.